Students of Associated Student Body pose for a picture at the photo booth during Friday night’s Sadie Hawkins Dance. 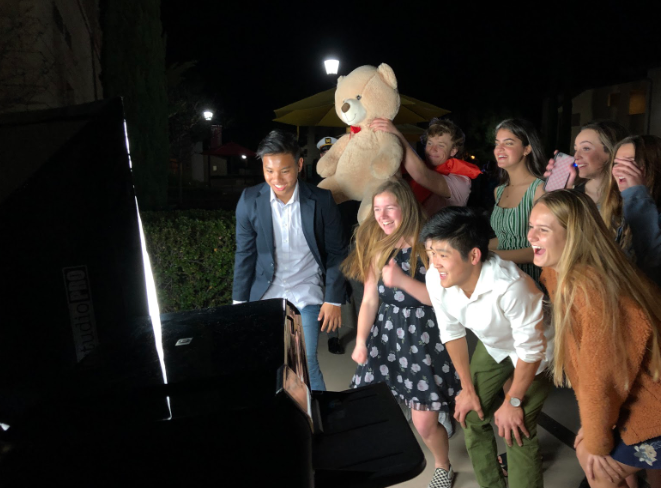 Traditionally a girls ask guys dance, the event marked the first Sadie’s in CCHS history, including a photo booth courtesy of Matt Nyugen Media, complementary Golden Spoon frozen yogurt, and lots of dancing. 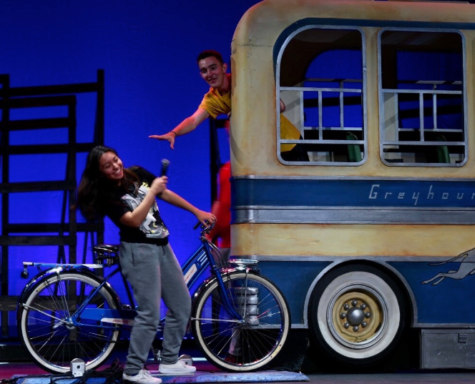 Cathedral Catholic High School students enjoyed multiple events last week, including the Sadie Hawkins dance, Saint Patrick’s day festivities, and numerous sports victories. The first Sadie Hawkins dance occurred on Friday, March 15, implementing the style of girls-ask-boys instead of the traditional boys-ask-girls style for all other CCHS dances. Options students and mentors hosted a bake sale filled with green treats to celebrate Saint Patrick’s Day, reminding students of the message behind the holiday, which includes Saint Patrick’s conversion of Ireland to the Catholic faith. 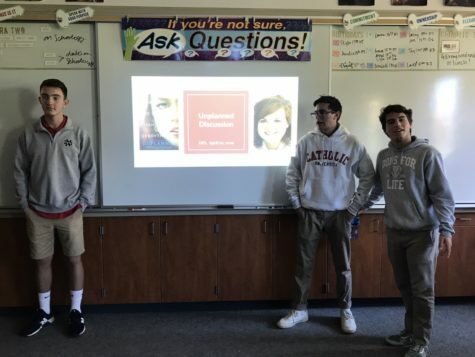 The undefeated boys lacrosse team outplayed Rancho Bernardo High School for an 8-0 victory, and the team will face Santa Fe Christian High School in an upcoming match. 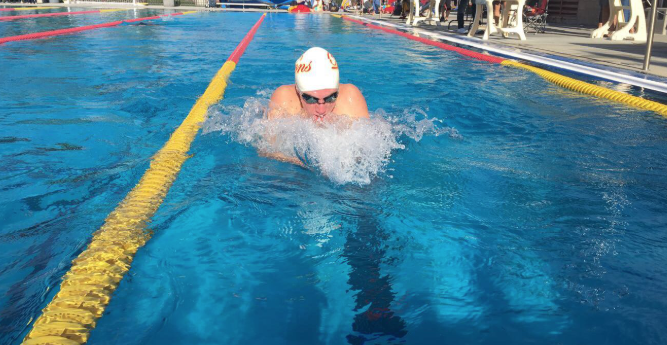 Robbie Andrews ‘21 warms up for his 100-yard breaststroke event at the Cathedral Catholic High School, Torrey Pines High School, and Mission Hills High School tri-meet on Friday. 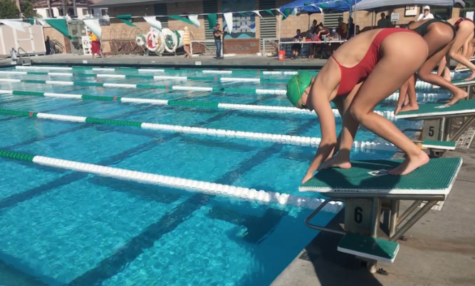 The swim team is looking forward to a strong season after performing well at the last two tri-meets against University City High School and the Bishop's School, and another meet against Canyon Crest Academy and La Costa Canyon.